Mystical Dance® reflects a confluence of Monika Nataraj's rich and diverse life experiences. Her deep exploration of dance, yoga, tantra, travel and community work lay the foundation for her current manifestations. Happily not identifying with any one "identity", Monika most enjoys dancing the Divine into existence, finding Truth in every breath and sharing this with others. Monika has brought Mystical Dance® to 20 countries around the globe and has catalyzed thousands of women to re-discover the depths of their feminine power and radiance. 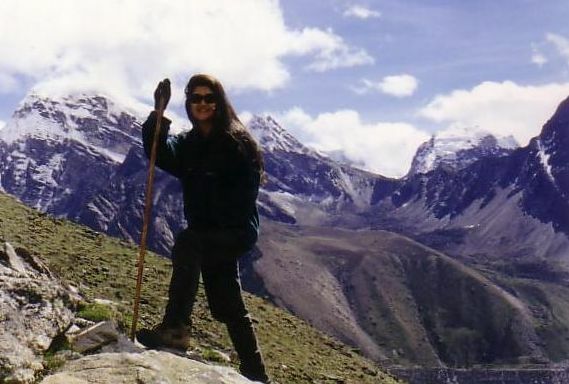 Since 1999, she has lived full time on the road as a true nomadic dancing mystic Shakti adventurer of the soul. At the tender age of 5, Monika began her formal dance training and performance life under the delightful instruction of Terry Hazel. Monika's early studies were in ballet, receiving Honors from the Royal Academy of Dance. She went on to explore jazz and tap and was in a modern dance troupe in University. Her "love affair" with the dance continued to blossom and was reflected in the opportunities that opened for her to represent Oriental dance to vast and varied audiences ranging from dignitaries of the United Nations, Middle Eastern royalty, families from the tri-state area, the pop culture of MTV and the NYC clubbing scene, and off-Broadway cabaret aficionados. Upon her initiation into the subtleties of yoga and meditation at the end of 2000 in India, Monika began to combine her knowledge of dance with chakra energy work, tantra and bhakti to create the Mystical Dance® approach, re-forming the ancient tradition of dance as a tool for spiritual evolution. Since then she has passionately explored and taught the art of sacred and ritual belly dance around the world. Monika offers Mystical Dance® intensives in India and Thailand where she spends most of the year, and has led workshops and residential retreats in Turkey, England, Ireland, Belgium, France, Czech Republic, Bulgaria, Spain, Costa Rica, Israel, Vietnam, Cambodia, Japan, Morocco, China, Canada and the USA. Monika continues to perform in ritual dance offerings with her students. She has been initiated into the mystical dance tradition of Sufi Sema (Sufi whirling and chanting) through Oruc Guvenc and her annual summer experiences with Tumata in Turkey since 2008, and to the sacred system of Gurdjieff Movements. She also studies and performs Odissi Classical Temple Dance in India. 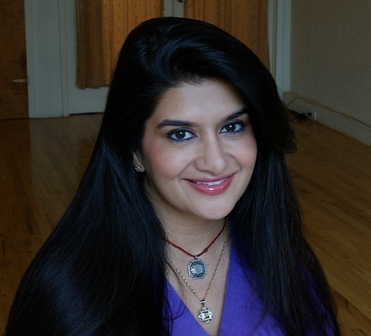 Monika serves as a Core Faculty member at the esteemed Omega Institute offering dance movements and tantric teachings. Her innovations in Mystical Dance® have given rise to a unique and inspiring 6-week, 250-hour Teacher Training Course which Monika leads annually in Thailand, along with pioneering sacred dance journeys around the world. Grateful for her outwardly charmed life in the West as corporate executive by day and professional belly dancer by night, Monika's soul still yearned for more. Monika experienced the undeniable impetus to seek true happiness and the inherent connection to all existence. In 1999, she made the conscious decision to leave everything behind and set out on a 2.5 year quest for "Truth." Divine Grace fell upon her at the end of 2000 when she became a yoga and meditation student of Swami Vivekananda in Rishikesh, India. Everything began to shift profoundly for Monika, and there was no turning back. She steadfastly continued her studies with Swami in India, Romania, and Thailand, and in 2006 completed 42 months of intensive traditional tantric teachings of the Agama Yoga curriculum. She has spent the past 13 years full-time studying, practicing and teaching a bevy of mystical traditions. Her early major influences include the Mahavidyas (the 10 Cosmic Powers/Wisdom Goddesses) and Kashmir Shaivism. Her perception of existence and non-existence changed profoundly once again through "Who Am I" inquiry, which she embraced in Satsang with radical Zen master, Dolano. She has been initiated specifically into the mystical aspects of dance through a special mantra sadhana with Guruji Rajkumar Baswar, with whom she continues to explore in-depth tantric meditation and ritual. Monika loves to play in the dance between the world of forms and the formless. Monika is a senior teacher of kundalini-tantra with Agama Yoga and is on staff at Agama headquarters center in Koh Phangan, Thailand, in 2007 she co-founded a major Agama branch in Dharamsala, India with her partner Manu, and has brought this system to Istanbul and Bodrum, Turkey. Monika is also an Agama Shakti Group leader, offering special tantric teachings for women. In addition to teaching yoga and meditation in Thailand, India and Turkey, she has led intensive workshops in Belgium, Spain, Canada and the USA. While living in the Himalayas, Monika has had the opportunity to receive tantric teachings from H.H. the 14th Dalai Lama and to take refuge within the Kagyu Tibetan Buddhist lineage and receive the Tara empowerment directly from H.H. the 17th Karmapa. She has also begun the practice of Dzogchen through direct transmission from Namkhai Norbu Rinpoche. Monika is humbled by the spiritual support, knowledge and inspiration bestowed upon her by all of her teachers and is eternally inspired by the grace of Maha Shakti. "Abide in the Self. Then joyfully embrace All that follows as the delightful play of the Divine." A lifelong traveler, Monika has journeyed to more than 70 countries and all 7 continents. Fascinated by cultures, mystical sites and directly experiencing the fullness of life by delving into the unknown, Monika revels in re-discovering herself through the reflections all around us. She has voyaged from the Antarctic to the Arctic, trekked the high Himalayas, scuba-dived in the world's last pristine coral reefs, safaried around the globe, payed homage at countless holy pilgrimage places, danced in wild carnivals and sacred temples, stood in awe before history's greatest artistic creations, and generally marveled at the endless wonders of this world. After graduating with degrees in Chemistry and Art History from Case Western Reserve University, Monika worked for 10 years in corporate philanthropy and was director of human resources strategy for Prudential Financial. She feels blessed for the community involvement projects she was charged with as the Prudential Foundation's Culture and the Arts and Education Program Officer. During this time she also served on the Board of Trustees of the Carolyn Dorfman Dance Company, Third Millennium: Advocates for the Future, and the Link Community School. Monika is former member of the National Advisory Board for the Ford Foundation's Community Development Corporation/Arts Resource Initiative. These experiences imbued her with a deeper sense of community service which carries through her current work which she views as seva or "karma yoga." Monika is the co-founder/director of the Dharamsala Film Festival in Dharamsala, India. This is a unique spiritual film festival highlighting Consciousness and Creativity in independent films from around the world. The place where you are right now, God circled on a map for you.